Having to leave your child behind at the hospital is a heartbreaking but sometimes necessary experience. Such was the case for Mary Beth Brulotte, whose son, Logan, was born 3 ½ months early. 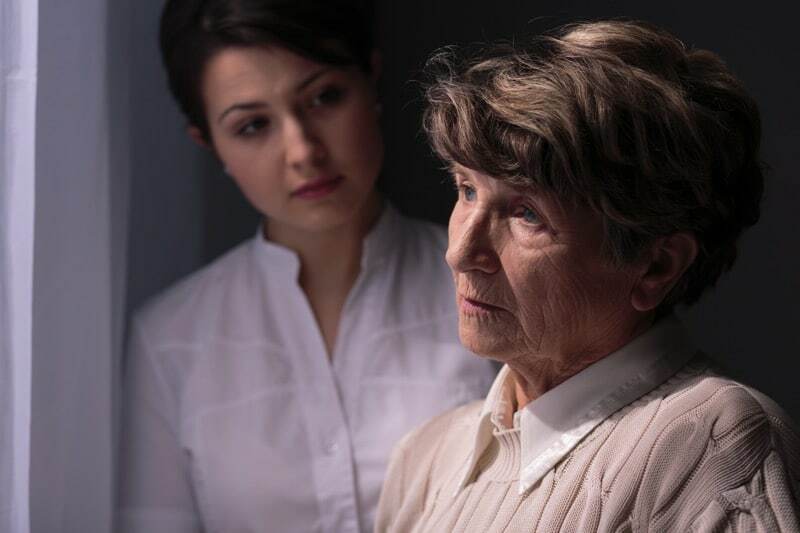 She felt guilty, and constantly imagined him crying in a cot, all alone, but her husband worked nights and she had an 8-year-old daughter to care for as well. “Every mom pictures their baby in the crib all alone crying,” Brulotte told TODAY, noting that her home is two hours from the Children’s Healthcare of Atlanta, where her son is currently a patient. But Brulotte was soon able to release those feelings and, instead, trade them in for something better: gratitude. 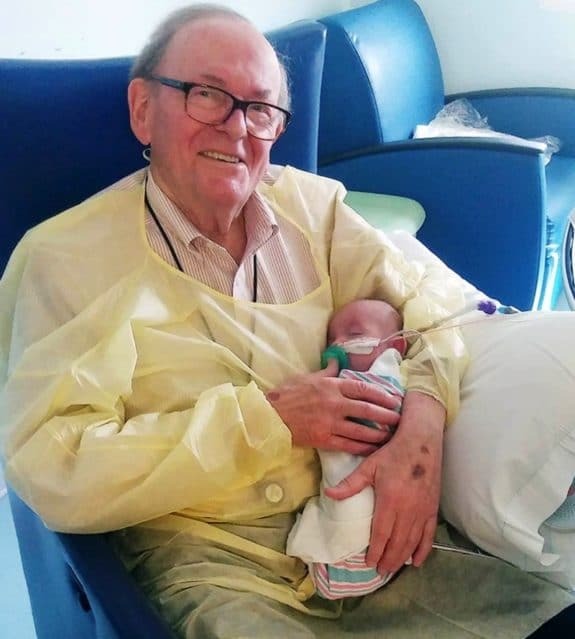 She met David Deutchman, an 82-year-old man who has been volunteering to hold babies at the Children’s Healthcare of Atlanta’s ICU for over 12 years now. Deutchman, a bit of a legend and certainly considered a saint by any parent that has ever received support or assistance from him, used to be an international business marketer. He retired and started doing guest lectures at nearby universities, but he felt he still had too much free time on his hands. So, when he found himself sitting in a rehab facility near the Children’s Hospital, volunteering seemed like the most logical path. What he enjoys most, apparently, is all the snuggles. He typically volunteers two days a week, from 8 a.m. to 1 p.m., but he only holds a couple of babies each shift. He says he wants to make sure they each get a decent amount of snuggle time. Plus, he admits it’s really hard to put them back in their cribs. But he’s not just there for the babies. He’s also there for the parents – and, in some cases, he is the one person that notices the struggles that they, themselves, are dealing with. It is this support and compassion that makes him such a local legend. Parents like Brulotte, and the countless others that have come through the PICU and ICU say they’re not sure if they would have made it through some of their roughest months without him there. The fact that he’s a complete stranger, simply donating his time to help those in need, makes it that much more touching.